Welcome to our Year 1 class page. 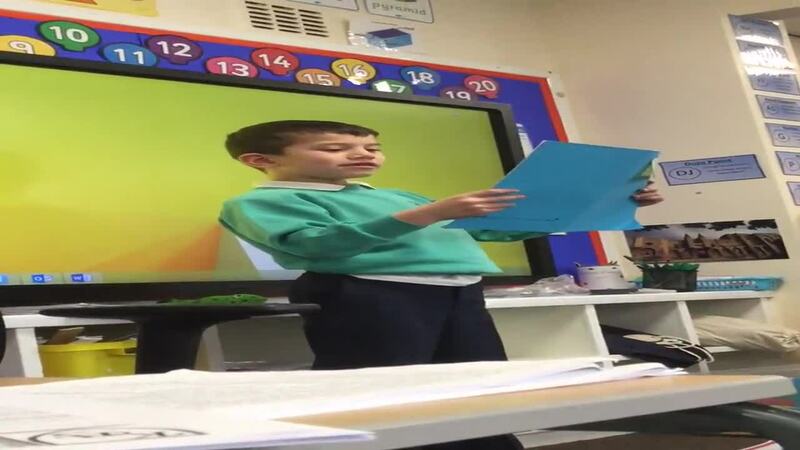 Our class teacher is Miss Cocker and our teaching assistant is Miss Jagger. Our PE days are Monday (indoor) and Friday (outdoor). Reading books will be changed every Monday. Please make sure that your child has read their book and has had their reading journal signed. Homework will be handed out every Thursday to be returned on the following Tuesday in time for the homework to be marked and new homework to be given out by the Thursday. Children will also be given 5 weekly spellings on Monday and will be tested on those spellings on the Thursday. This term our topic is: "Animals Including Humans"
In the last couple of weeks during our art lessons, we have been looking at facial features, what they are like and where they are on our faces. After lots of hard work and practise, we have finally made our self portraits. 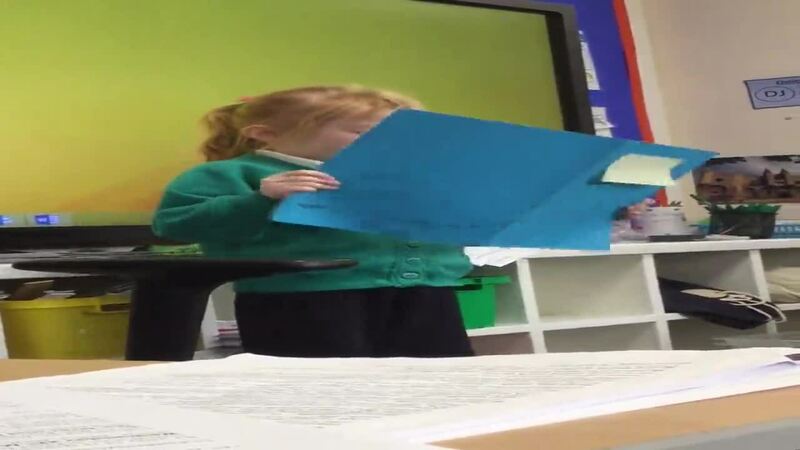 For the lesson, the children had a piece of paper with a picture with half of their face on. The children then had to try and replicate the other half. Have a look below to see our work. This half term, we have been looking at portraits. This week, in inspiration of the work of Giuseppe Arcimboldo. We have made pasta portraits. Have a look below to see how we have got on. This afternoon, we have been looking at another piece of Peter Brook's artwork. In this art lesson, we were focusing on using pencil crayons to shade carefully by applying different pressures onto the paper to make different shades of the same colour. The children worked really hard and were concentrating that much that the classroom was completely silent! The children have worked independently and again have made some amazing masterpieces. Have a look below to see examples of the work and some pictures of the children working hard. This afternoon, the children have been doing some chalk pictures based on the artwork of a local artist called Peter Brook. The reason why we are looking at Peter Brook's work is because the children have been learning about where they live and Peter is known for drawing local landscapes. I have to say how proud I am of how hard all the children have worked today. They have listened carefully and have managed to make some beautiful artwork independently. I have put on the original picture we were looking at and I have attached some examples of our artwork below. 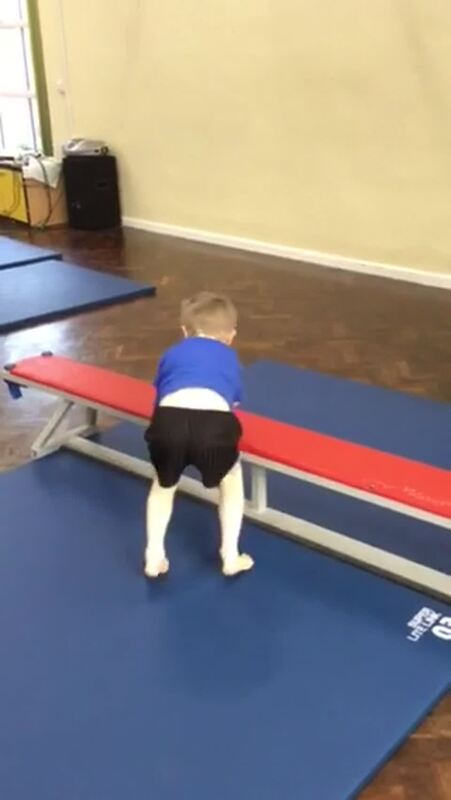 Continuing from the last blog post, this week we have been continuing with our dance PE module and we have finally have some video footage of the children dancing. 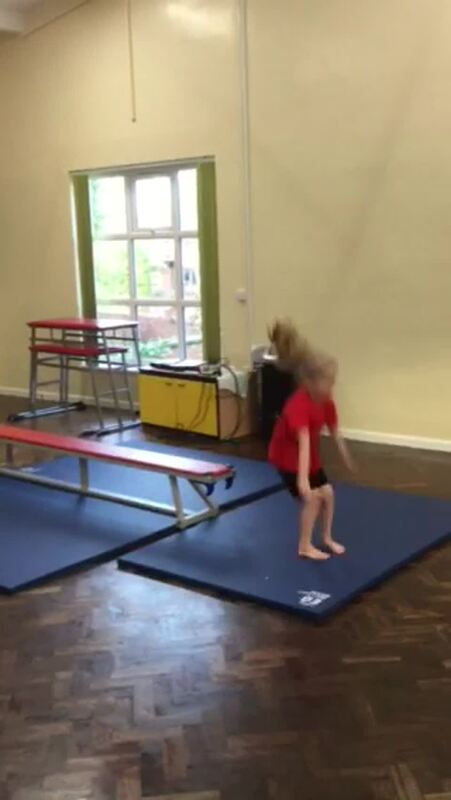 This week we have been dancing to Shake it off by Taylor Swift. Have a look below at a group performing their routine. 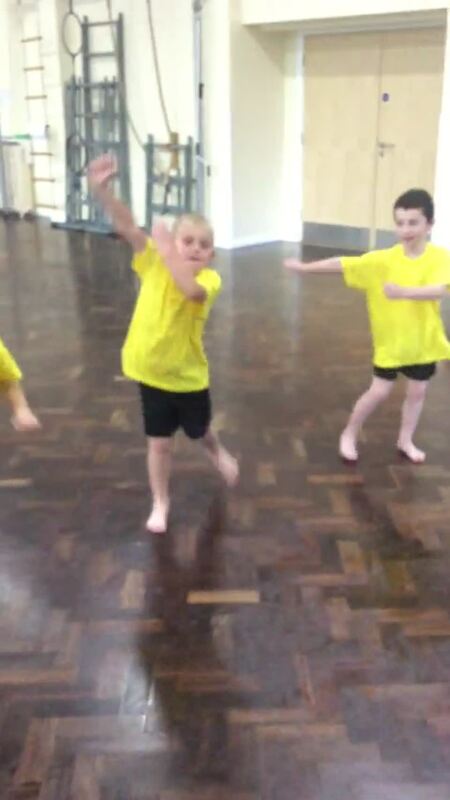 This half term in PE, we have been doing dance. The children first make their own routines in groups to a range of well known songs and then everyone takes part in a whole class routine. Have a look below at what we've been doing. This week in Maths, we have been looking at the symbols < > and = to compare whether a number is more, less or equal to another number. The children first did this practically where they lined their cubes on each side to create the symbol needed to compare the two numbers. Have a look below to see what we got up to. This week, we have been looking at mixing a range of primary colours to make secondary colours. Have a look at the results below. This week, we've found some big animal prints on our classroom floor. The children thought it might have been a bear. The children searched around the classroom and outside to see if they could find it. We have decided to plan a story about how the bear got into school and what it wanted. We will be writing the story later this week. This week we have been learning about the different parts that make up our body. As part of our provision, we have been labelling different body parts on a diagram. Also we have been linking our topic work with maths through creating a picture of a person using 2D shapes. The children then had to recognise what 2D shapes they had used and count how many of each they had used. Have a look below to see what the children have been getting up to. 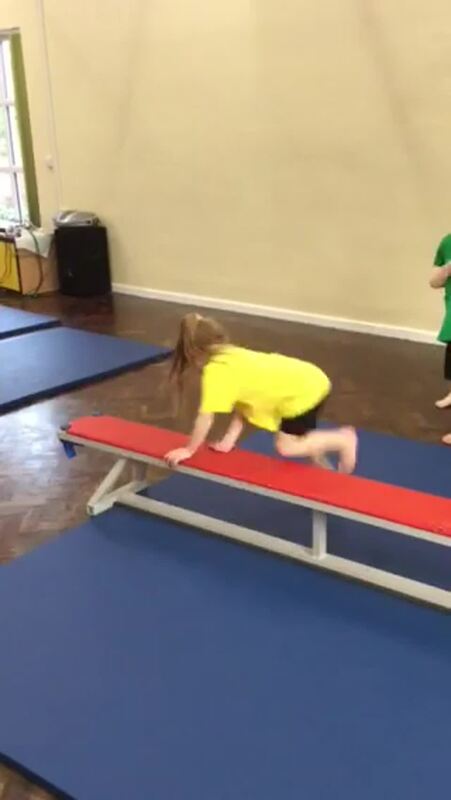 This week in PE, the children have been learning different balances, jumps and ways of travelling using a range of apparatus. The children tried really hard to make sure they included all of the elements. Have a look below to see what they got up to. This week, we have had number day. For this, all the children got dressed up in different number outfits and took part in a range of maths activities all morning including: measuring the weight/mass of different objects using a balance scale and measuring different objects using a ruler. Afterwards, we all played a game of snakes and ladders. Have a look at us in action. 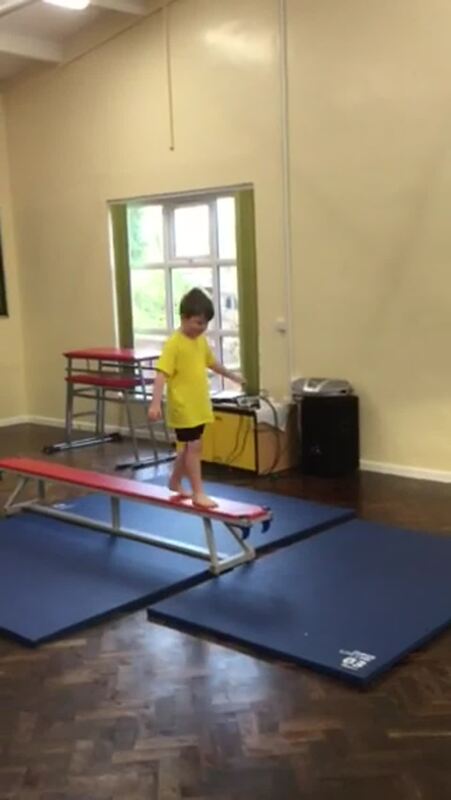 This week during PE, we have been learning how to balance in different ways. First we discussed what balancing is and what we can use to balance with then the children had a go at balancing different ways. Have a look at some of the balances below. This week in our ICT lesson, we have been learning how to type on Microsoft Word using a keyboard. The children first went onto Word Art and picked the font they would like to use then they typed their name using a capital letter. Have a look at some of the pictures below. This week in English, we have been looking at using exclamation marks correctly. The children discussed what an exclamation mark looked like and why we would use them in our writing. The children were then given a range of pictures and were told to write a sentence using an exclamation mark to show how someone would be feeling. Have a look at some examples below. This week, we have been looking at the season 'winter'. With this, we have made a paintings with a winter theme. The children first used powder paint to make a background then used card to cut up to make houses. Have a look at our masterpieces. Over the past few weeks in our ICT lessons, we have been looking at coding on the IPads. The children have been creating sequences for their character to do. The children have been doing really well and are being creative with their sequences. Have a look below at them in action. This week has been Anti-Bullying week. From this, the class have been discussing what a good friend is and how to be one. Then as a class, we made a 'key' to being a good friend by writing all the good qualities a friend should have. Have a look below to see what they said. This week we have been starting to look at bonfire night and why it is celebrated. We used this as an excuse to make some lovely firework art. The children first used their fingers to create the fireworks with paint and then used glitter to make the fireworks sparkly. Have a look at the slideshow to see some of the work. During this half term we have been playing a game called 'Hit the Button' to help us get better at our number bonds to 10 and 20. Everyone has been working really hard and we're all getting really good at them. Have a look below at some of us in action. This week, we have been continuing with our seaside topic and have focussed on the artist Lynette Amelie and her beach hut paintings. The children discussed what her pictures were like and then tried to do their own version. Have a look underneath to see how they got on. This week we went on our first ever school trip to the Runway visitor park next to Manchester Airport. Here we learnt all about the airport and had a look different types of aeroplanes including the Concorde. Afterwards we got the chance to look inside more than one aeroplane and we even became pilots. All the children were really well behaved and we all enjoyed the day out very much. Have a look underneath to see all the fun that we had. This week during our provision time, we have been learning about the equator. We have also managed to finish all of our continent/ocean map work off . Have a look at the results below. The last couple of weeks the children have been looking at the continents and oceans of the world. In our provision lessons, the children have been using maps to locate the different continents and oceans to put on their own map. Have a look at the pictures below to see what we've been getting up to. This week is school fitness week! Fitness coach Joe Wicks has been doing live fitness workouts each morning in aim to try and get 1 million children exercising. As part of this we have and will continue to join in each morning for the rest of the week. Have a look below at some photos of the exercises the children have been doing so far. First we attached the flap of brown card for the soil to the bottom of the blue card. Then we stuck the green straw for the stem just above the brown flap and the leaves at the side of the green straw. Next we stuck the flower at the top of the green straw. Finally we carefully stuck some pieces of brown wool to the bottom of the straw, under the soil for the roots. This week all the children have completed their year 1 phonics screening check. All the children tried exceptionally hard and made Mrs Powell feel really proud. For all their hard work all the children were awarded their own phonics certificate! However, Fred the Frog (who always helps us to sound out our words) and Mr Grace have been up to mischief all week. Fred the Frog has been hiding in lots of different places around the classroom; each morning we have been searching high and low for him. Can you spot Fred the Frog in his hiding places? In our maths lessons we have been looking at all the different ways we can measure objects and items in our every day environment. After practising our super measuring skills in measuring length, height, weight and capacity, we completed an Outdoor Scavenger Hunt. We worked together as a team to collect lots of different items. We were amazing at discovering, describing and comparing the different objects we found using the mathematical vocabulary we had learnt throughout the week. We have been super busy learning all about our new topic 'plants'. We have been on a plant hunt where we learned all about the different wild plants such as nettles, ivy, bluebells and daisies. We then made our very own sunflowers using different materials and colour/texture techniques as well as planting tomatoes, radishes, herbs, strawberries, lettuce and cress ready for our big garden centre sale! This week we will be moving onto looking and identifying garden plants in our school environment. This week we are learning to find and name a quarter as one of four equal parts of an object, shape or number. To begin our week, we explored cutting shapes into quarters and piecing them back together to make a whole. We also learnt that we would much rather have half a pizza than a quarter! We hope you have all had a lovely Easter holiday. The children were all so eager to share the fantastic homework they had completed ready for our new topic. We would like to thank all parents and carers for supporting their children to create such creative pieces of work. Also, the children will become familiar with common names of flowers, deciduous and evergreen trees, and plant structures (including leaves, flowers (blossom), petals, fruit, roots, bulb, seed, trunk, branches, stem). The children will observe and compare plants closely using magnifying glasses. Each child will grow their own plant and will take responsibility of making sure their plant stays healthy. They will then use a plant diary to keep a record of how their plant has changed over time. Finally, the children will then use their maths, literacy and creative skills to organise a plant sale at the end of term for all parents and carers. Today we had lots of Easter fun putting all of the knowledge that we have learnt about instructions into making our very own Easter crafts. Mrs Powell and Miss Jagger then picked two children who they felt had followed the instructions carefully to win an Easter egg prize. After we had made our crafts we had a little bit of time at the end of the lesson to go on our very own Easter egg hunt where chocolate egg prizes were awarded for the best team work and problem solving skills! It was fantastic to see the children collaborating and working together. Here are some photos of the children's efforts today. This week we have been looking at instructions. To help us understand the importance of following instructions in the right order we made some delicious jam sandwiches! We remembered to say the verbs and adverbs as we did this as well as saying out loud the instruction we were following. We then practised crossing the (pretend) road and thinking of our own instructions to go with each step of keeping ourselves safe. Some of the children were not so careful and had a little bump into Mrs Powell's, Miss Jagger's and Miss Hamed's cars!!! Teacher: Why are you so late Liam? Liam: Because of the sign down the road. Teacher: What does the sign have to do with you being late? And so it feel down flat. This week we have been re-capping the names of 2D and 3D shapes during our topic work. We did this by using our new construction area to turn into architects to design and make different buildings from the shapes; going on a shape hunt in our sand area then using these shapes to make different types of buildings we have learnt about; making our own buildings from junk materials and explaining the shapes we have used and why we chose to use these and using our new magnifying glasses to turn into detectives to hunt for 2D and 3D shapes on different aerial photographs. We have spent 3 weeks in our writing lessons looking at the traditional tale 'Little Red Riding Hood'. We learnt how to use question marks, exclamation marks, adjectives and even similes. We learnt the story whilst joining in with the predictable phrases such as "All the better to eat you with!" The children then re wrote the story; all the children tried so hard to include all the features that we had learnt about. 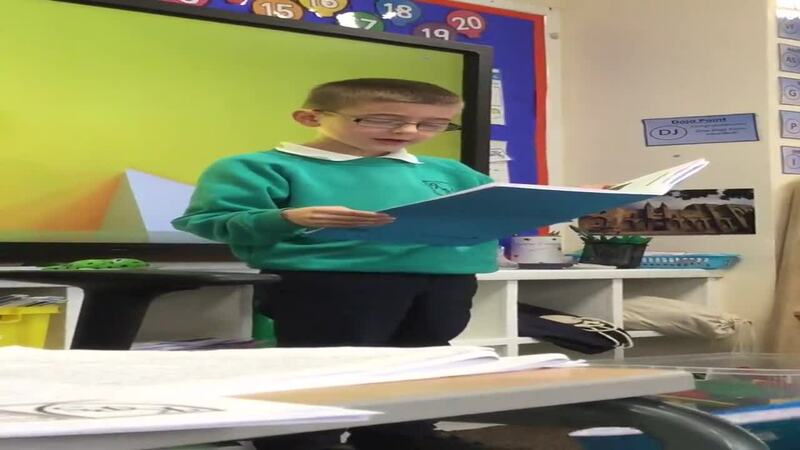 After we had written and improved our work we shared our writing with our partner and the rest of the class. Here are some of the stories in action. Watch out for Brooke's dramatic "Help!!!!!" line, Noahs amazing adjectives, Blakes fantastic simile and Liam's great acting! This week we are learning about grouping and sharing in maths and the children have been introduced to the division sign. "Kev the Clown has 5 buttons on his shirt, 10 spots on his trousers and 2 pom-poms on his shoes. Let’s work out how many bits and pieces we need to make more clowns, and then we can check to see if we have enough." We have also had a go at finding how many 2p's, 5p's and 10p's there were in different amounts of money. We used the coins to help us do this. Some of us used 2, 4, 6, 8 and 10 smarties and shared them between 2 of our friends to find out how many they would get each. A big well done to all the children today that took part in the Year 1 Multiskills competition at Barnsley College. The children showed great determination, team work and lots of perseverance. All the children did Kexborough Primary School really proud and to top it off one of our teams (who named themselves "The Cheetahs") came 3rd out of approximately 20 teams! An amazing achievement!!! WOW! Mrs Powell was so amazed with all the children's homework. There were so many exceptionally creative projects! I was so impressed with all of the children's writing, research, drawings, paintings and models of houses and buildings. Some of the children had even visited a building site and other famous buildings in England as well as taking photographs of their houses and their families houses. All of the projects have been displayed in the classroom so everyone is able to see how hard the children have worked over the half term holiday. I would like to say a huge thank you to all parents/carers who have supported their children create such fantastic pieces of work. A sand tray/area where we will be using our new diggers, spirits levels, buckets and rakes to become professional builders to complete lots of maths and investigation activities. A house (for small world play) where we will be designing and making our own furniture for each room as well as becoming interior designers to decorate each room. An Estate Agents role play area where we will be finding our customers the perfect house for them to live in or rent. A creative area for all of our art projects. A brand new construction set ready to build lots different types of houses and homes as well as buildings from around the world. We are super excited to watch the children learn in such an exciting and innovative way. We will keep you posted with photos of our new areas in action! We have had a really fun day today in Year 1 for World Book Day. We have been doing lots of different activities related to The Three Little Pigs. Firstly, we read our brand new book altogether as a class. We really enjoyed this story. It was lots of fun looking under the flaps in the book to find the wolf hiding! We then went into the hall to do some role play to re-tell the story using masks. 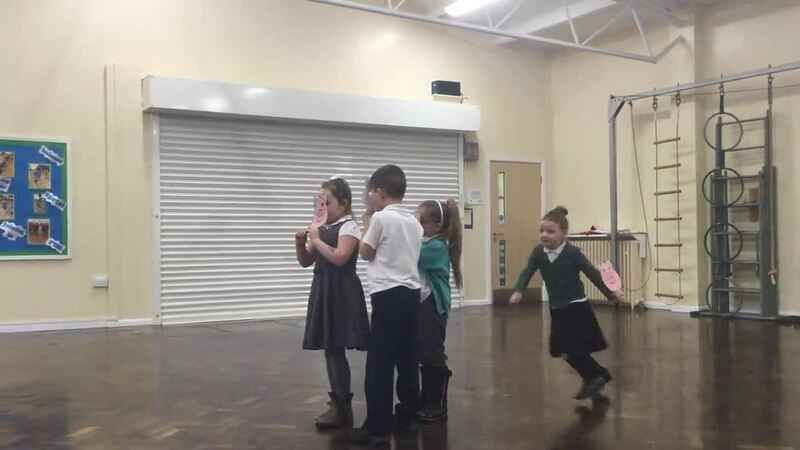 We were fantastic at this and had some brilliant actors and actresses in our class! We also created some wanted posters to help catch the big, bad wolf! We also used our knowledge of 2D shapes to create a house for the pigs by drawing around different shapes. During the day, we put together the characters from The Three Little Pigs. We have been super busy for the last couple of weeks doing lots of activities linked to our topic 'Structures'. In our water tray we have been using the balancing scales to estimate then record how many cups of water it will take to be heavier than the sea creatures. In our reading area we have been finding out lots of facts about animals using our non-fiction books. In our investigation area we have been sorting animals into carnivores, herbivores and omnivores as well as sorting the animals based on whether they are amphibians, reptiles, birds, insects, mammals and fish. In our creative area we have been making an underwater sea scene using cereal boxes and finally in our Zoo surgery we have been completing medication forms for the animals where the children have had to weigh, measure and write the type of animal they were treating to make better. We have also been feeding the animals in the zoo according to whether they are carnivores, herbivores and omnivores. I think the children will be ready for the half term holiday!!! We have been learning today about the importance of staying safe on the internet. We watched a short video clip to hear Red and Murphy's advice about watching videos online, take a look here! You can also see some of our superb posters on tips on how to stay safe online. On Wednesday we visited Cannon Hall Farm. We had a guided tour of the farm where we saw and learnt about lots of different types of animals, we were even able to stroke some of them. We also watched a milk demonstration, animal feeding, sheep racing, ferret racing and we even had some spare time to explore the adventure playground! The children had lots of fun and were a credit to Kexborough Primary! This week we welcomed a new visitor Jake the Hamster to our classroom. He has been entertaining us all week and has even been checking how much work we have all been doing! Whilst we have been looking after Jake we have learnt about how we can take care of pets to ensure they live a happy and healthy life. We have been really busy writing letters to the zoo to tell them to take back the elephant from the story 'The Slightly Annoying Elephant'. We were so tired of him taking over the TV remote, eating all the food and breaking things that we just had to ask the zoo to take him back. The children tried amazingly hard with their writing putting in full stops, capital letters, question marks and lots of adjectives to describe the elephant. These are just some of the examples of their first drafts! We can't wait to see the final letters! Today we put our senses knowledge to the test and turned into sense detectives! We had to use our senses to guess the answers to a puzzle. We had lots of tasty, noisy and smelly fun! Our topic is 'Structures' which has a large focus on animals therefore we have a brand new 'zoo surgery' role play area. We have been exploring the different types of animals in the role play area and are beginning to know their names using the words fish, amphibians, reptiles, birds and mammals. We were so excited to explore and learn in this area that we thought what could be better than learning with real animals!! So meet the two new additions to year 1 (who we voted to name Frankie and Ariel)! This week we learned about the basic parts of the human body and found out which part of the body is associated with each sense. We were given different picture cards then had to find the sense that it represented around the classroom. We didn't only learn about the senses but also how to communicate with one another in order to check that we were stood in the right places. In our literacy lessons we have been reading and completing activities on the story 'The slightly annoying elephant', written by the author David Walliams! The story is about a ginormous, blue elephant that arrives on a young boys doorstep and announces that he's come to stay. The elephant soon proves to be a very irritating house-guest, demanding food, making a mess and taking over the TV remote. The children were so engrossed with the story that they wanted to take on the role of the annoying elephant and act out parts of the story. Here are some of the photos. We have been looking at changes that happen in the season Autumn. We had lots of fun picking leaves that had fallen from the trees to create our own Autumn pictures. We extended our work on seasons even further and began looking at which colours we can use to represent the different seasons. We then used this knowledge to have lots of messy fun making calendars. We will leave a photo of the finished product as a surprise!!! This week we wrote descriptions of fantasy settings inspired by the story 'The Magic Bed'. First we planned and acted out what we would be able to see, hear, smell and feel in our own fantasy settings. Here are some photos of the actors/actresses in action!